The mimio Board HD 110 meets the needs of the most demanding interactive whiteboard in the market which enhance presentation impact with interactive reveal screen and spotlight tools. Teachers can browse educational web sites, navigate interactive instructional CDs and control PowerPoint, Word documents and Excel spreadsheets directly from the whiteboard. 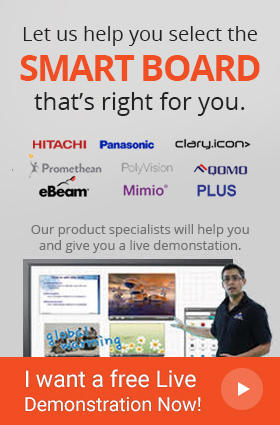 Mimio Interactive Board is powered by MimioStudio™ software which is easy-to-use and have all-inclusive suite of tools and resources that will give your interactive teaching a positive edge. It is Convenient and flexible so there is no need for cables and you can place your computer up to 30 feet from the board. Buy mimio Board HD 110 today and feel the difference yourself. The mimio Board HD 110 meets the needs of the most demanding interactive whiteboard in the market which enhance presentation impact with interactive reveal screen and spotlight tools. It is designed for the active classroom.